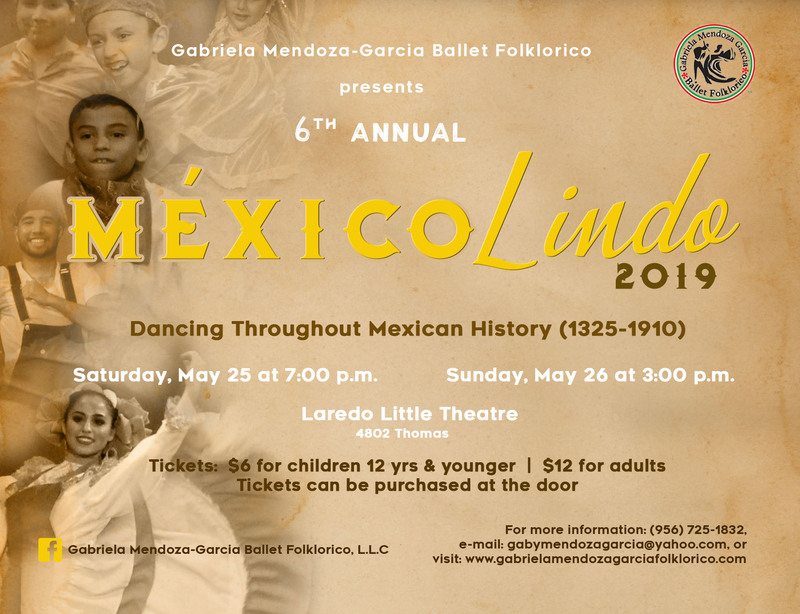 Catch us at our annual concert which features a talk on the book Dancing Throughout Mexican History (1325-1910). Plus, we will bring the history of Mexican dance to life! Classes are offered for ages four years to adult in all skill levels. All students learn the footwork technique, skirt movements, and history of the traditional dances of Mexico. Classes meet weekly with performance opportunities as part of one of our dance groups: Ballet Folklorico Infantil, Ballet Folklorico Juvenile, Teen/Adult Beginner, and the Adult Company. Ballet Folklorico Infantil —Performing Group designed specifically for children ages 4 to 7 years of age. They learn the customs, history, and dance traditions of Mexico. Ballet Folklorico Juvenil–Performing group designed for children ages 8 to 14 years of age. All students learn the traditional dances of Mexico. Teen/Adult Beginner–This performing group consists of teenagers and adults of all ages who have always wanted to dance folklorico. Adult Company–Members of the adult company have years of training in Mexican Folklorico Dance. To be a part of this group, you must either audition or be invited by the Director. Photos courtesy of David Martinez and Sanjuanita Martinez-Hunter.